Wellness is a multi-stage volcanic mineral filter system that replicates Nature’s own spring water process. As water passes through each layer of volcanic minerals water is naturally energised, hydrogen bonds are altered. This improves its hydration characteristics while adding beneficial negative ions for a balanced antioxidant effect. I have heard other filters using rocks or infrared ceramics, why is Wellness better? There have been many attempts to copy the Wellness process but none have been able to replicate our trade secret system or match our water quality. Wellness is the only company in the world with access to the exclusive volcanic minerals we use and we are the only filter to hold certifications. 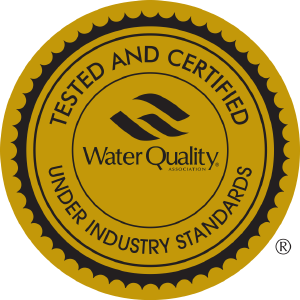 This is an important guarantee of filter performance and water safety. Is Bakuhan exclusive to Wellness? Yes. Besides Japan, Bakuhan volcanic stones can be found in China and Korea. However, the Bakuhan found in Wellness comes from the only source ever to have been certified for safety and medicinal properties by the Japanese Ministry of Health and approved for use in a water filter. Bakuhan stones found elsewhere can suffer from low grade impurities and should be avoided. Why is Wellness different to other water filter companies? Wellness` specialises in water filtration and the science of water enhancement. We are the only company to design and build specialised systems for agricultural applications through to highly specialised cosmetics water and medicinal bathing systems. Our filters range in size from dinking water right up to bathing systems for medical spas. What is so special about the volcanic rocks used by Wellness? The volcanic minerals used by Wellness took over seven years to research, in one case we had to make use of social satellites imagery to identify their source. Wellness has invested many years in research to ensure that each layer of volcanic mineral is in the exact position required to yield the Wellness water effect. How does Wellness ionise water? Wellness studied water and physiology for over thirty years and found that the natural far infrared energies are the best method of creating high quality negative ions in water. Our natural ionising process has been recognised around the world as an important advance in the science of water and negative ion generation. This is supported by many endorsements from health-care professionals and consumers. Is the Wellness Filter medically approved? The Bakuhan mineral stone in Wellness is the world’s first and only mineral have been certified by the Japanese Ministry of Health as a medicinal mineral. However this certification applies only in Japan where Wellness is the only ionising water technology to qualify for health insurance rebates from major insurance companies. The Wellness Filter does not cure disease and should not be viewed as a therapeutic device. Wellness water works by improving overall hydration and lessening the free radical burden on your body; thereby assisting prevention and aiding health recovery; also by making water more pleasant to drink you will begin to rehydrate yourself naturally. Is there Fluoride in my tap water? Here is a link to the areas of the UK that currently have flouride in their water supply.